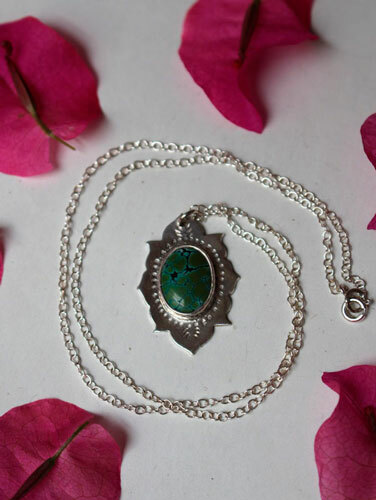 This necklace is made with a pendant which was hand sawed in the shape of an Indian stylized flower. 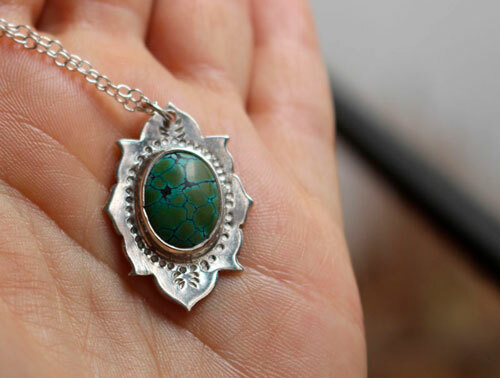 A beautiful turquoise cabochon was bezel set on this pendant showing green colors. 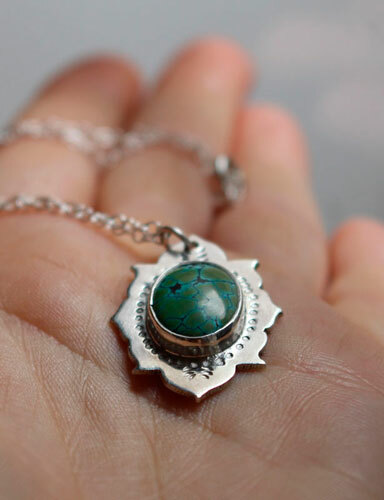 Patterns were hand stamped all around the stone. 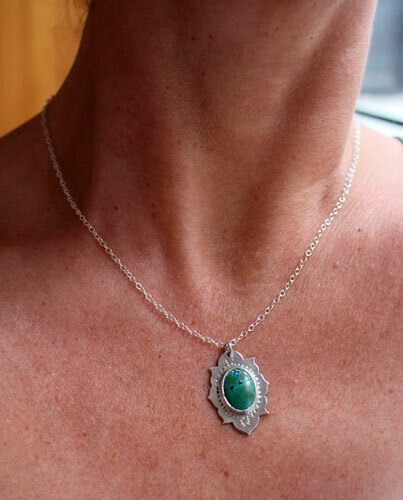 If you like Indian art and turquoise stones, you found the right necklace for you. 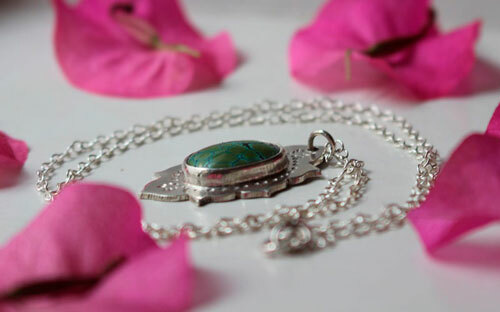 Length of the necklace: 43 cm. 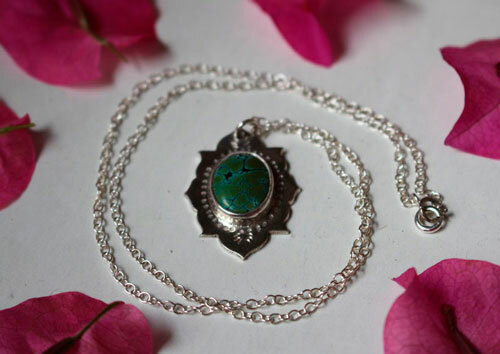 The pendant is 3.1 cm high. 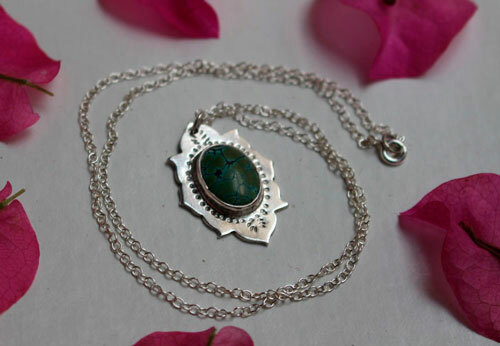 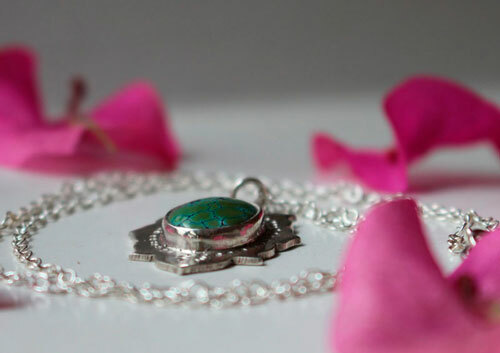 Tag: necklace, pendant, turquoise, Stone, Green, indian, stamped, pattern, flower, vegetal, botanical, boho, romantic, engagement, baptism, anniversary, birthday woman gift.